The League of Women Voters of Texas is a member of the Texas Election Protection Coalition. cast a ballot that counts. ● We help voters when they encounter problems at the polls. 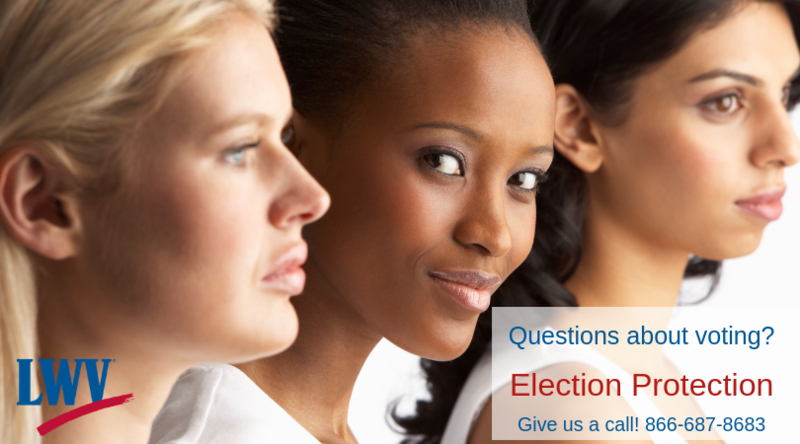 ● We operate a statewide hotline to empower voters with information about how to vote. issues. But it only works if people know about it! Please share these numbers widely. The League recruits volunteers for the Texas Election Protection program at the polls. If you or anyone you know is interested in helping us protect the vote at the polls, please contact us to find out how to sign up for training! Share with your networks and on social media.